Chinese hardware site HKEPC had an exclusive look at the AMD Threadripper 2990X announced at Computex in Taipei. 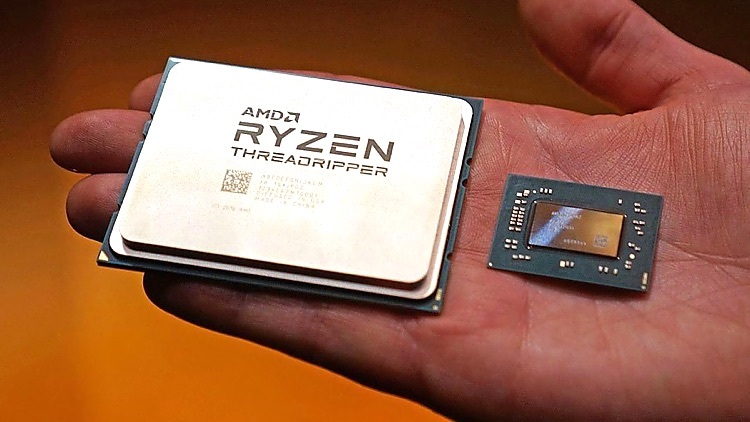 AMD’s newest flagship addition to their high end desktop platform uses the same TR4 socket as the previous generation Threadrippers.  This means that owners of current X399 motherboards which are capable of delivering the needed 250 Watts of power can do a drop-in replacement. 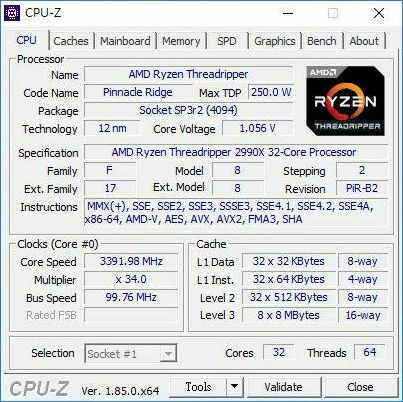 While a product identifier like 2950X was expected, the new processor presumably carries the official nomen Ryzen Threadripper 2990X. It will be a multi-chip module containing four Zen+ complexes containing 8 cpu cores each. resulting in a total of 32 cores capable of running 64 threads. Base clock speed will be 3.0 GHz with an all cores load boost clock reaching 3.4 GHz. Single core XFR boost is presumed at around 4.0 GHz. Using advanced cooling solutions like water cooling, higher speeds seem possible. The 32-core processor will sport a 3 MB level 1 cache, 16 MB L2 cache and a monstrous 64 MB L3 caches and will be produced on GlobalFoundries 12 nm process. 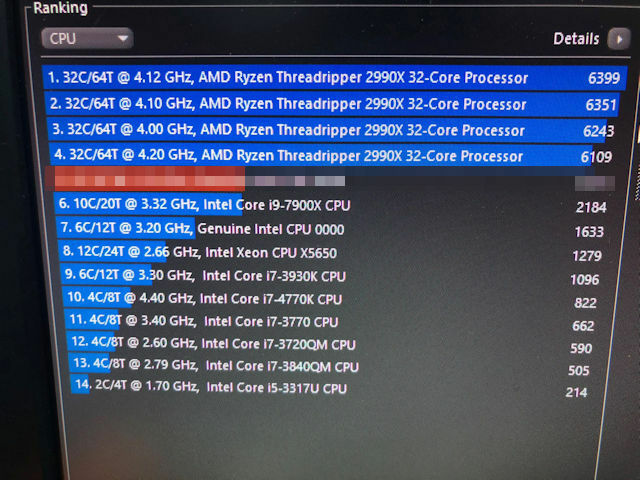 Enthousiast site HKEPC also managed to secure Cinebench R15 benchmark test scores of the new processor. The Threadripper 2990X scored an eye-popping 6200+ points. This is an excellent score especially compared to the 5912 score set by Intel’s 28-core offering running at stock speeds. Only with an outrageous and very impractical 5 GHz overclock was Intel capable of besting this with a score of 7334 points.